Your home is about to become totally Pinterest-worthy. 1. A darling set of metal trunks with rose-gold hardware that can be used for storage as well as function as a nightstand or end table. The set includes one small trunk and one large trunk. Get them from Amazon for $99.99+ (available in three colors). 2. A tufted accent chair with a matching ottoman so you'll be able to kick up your feet like royalty. Get them from Amazon for $275.69. 3. A charming area rug that'll immediately pull together any room in your home. Get it from Amazon for $19.97+ (available in 16 sizes). 4. A pretty set of flatware you may have to make sure your besties don’t “borrow” for their own homes. The 20-piece flatware set is dishwasher-safe. The set includes four dinner knives, four dinner spoons, four dinner forks, four salad forks, and four salad spoons. Get them from Amazon for $29.98+ (available in six finishes). 5. A vintage-style vanity that'll be the main attraction in your bedroom. The vanity sets includes tri-folding mirrors, a padded stool, and five drawers for tons of storage space. Get it from Amazon for $203.99+ (available in white and black). 6. A mirrored decorative tray for displaying jewelry, coffee table books, photo frames, candles, or any other items in the most glamorous way. 7. A gorgeous metal bed frame to bring a little rustic charm to your bedroom (or even your little one's). The bed frame features an all-in-one mattress support frame foundation with built-in headboard and footboard. Get it from Amazon for $69.99+ (available in twin and full sizes and in white and black). 8. A sleek white marble paper towel holder that'll immediately roll a touch of class into your kitchen. 9. A fun geometric accent chair to add a little personality to any room. Get it from Amazon for $74.99+ (available in two colors). 10. A timeless duvet set that'll make your bed the coziest spot in your entire home. The machine-washable set includes the duvet and one or two shams, depending on the bed size. 11. Or a chic splurge-worthy velvet one that's about to become the object of all your affection and home decor pride. Get it from Amazon for $129.90 (available in rose and light green). 12. A cute pair of velvet pillow covers for adding a little coziness to your favorite couch or armchair. The set includes two pillow covers. Pillows are NOT included with the covers. Get them from Amazon for $11.99+ (available in three sizes and 28 colors). 13. A mini artificial plant so you can accent your space with some adorable greenery without having to worry about actually keeping a plant alive. The artificial plant comes potted in a paper pulp planter that should not be placed in water. 14. A set of teaspoons that'll make your tea time (or any other time using them) an almost royal experience. The set includes six spoons. 15. An extremely handsome entertainment console so you can finally get your TV off the floor. Get it from Amazon for $109.99 (available in four colors). 16. A gorgeous showerhead to bring some serious class to your bathroom. 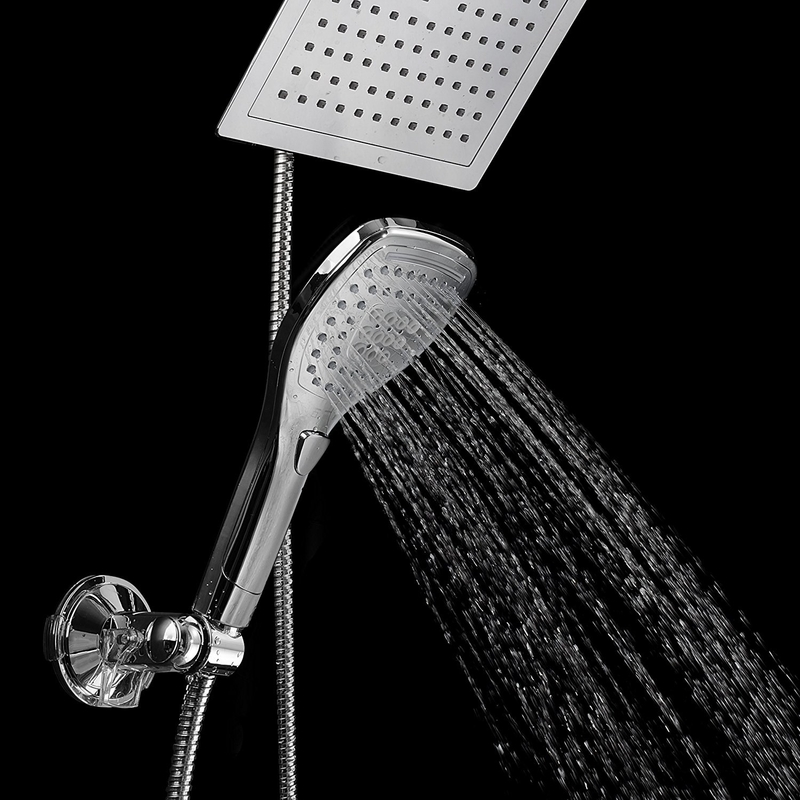 The showerhead features tool-free installation and a 9-inch face. 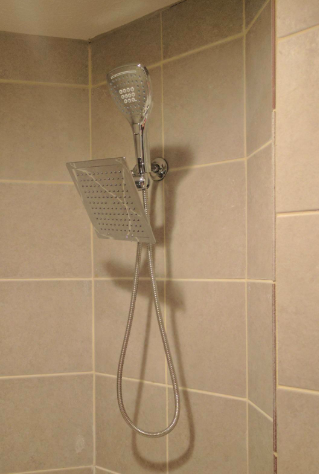 Promising review: “This showerhead looks great! I replaced it myself. Everything I needed was in the package. It took about 10 minutes. I rarely use the handheld head, but it's nice to have it. You can switch between them with a turn knob behind the big shower head. The flow is just right and even. The materials feel robust, so I hope I will have many years with this one! Get it from Amazon for $39.99+ (available in two shapes). 17. A glass and metal coffee table that'll easily complement any furniture set in the room. Get it from Amazon for $54.75 (available in four styles). 18. A lovely metal plant stand to show off your green thumb in style. The stand also includes a pot. Get it from Amazon for $9.99+ (available in three color combinations; also available for succulents for $2.99). 19. A distressed-wood coffee table if you're looking for a rustic but chic upgrade to your living room. A matching end table and sofa table are also available, if you want the complete collection. Get it from Amazon for $169.96, Walmart for $169.99, or Jet for $169.99. 20. A stylish metal bar cart with a gold-tone finish you can use as a side table, extra storage space, or as a spot to store all your bar tools and favorite liquor bottles. Get it from Amazon for $84.93. 21. A fluffy rug that'll be the perfect bedside accent — or add a fierce vibe to any room in a larger size. Get it from Amazon for $21.99+ (available in sizes 2x3-10x12). 22. And a sleek modern desk to bring a little retro flair to your space. Get it from Amazon for $44.24+ ( available in five colors). 23. A five-tier corner shelf to provide a little extra storage space or display your favorite tchotchkes.